It’s been a while since I added to this series. My plan was to finish the series and turn it into an eBook by the end of the year. I guess I better get moving a little. Now we’re going to talk about one of the more misunderstood and often abused areas of SEO. Meta Tags are not visible when visiting a web page or blog post. They are inserted into the header code of a web page. They provide more information about what the web page or blog post is about. They also provide other information to search engines. There are meta tags that are useful to search engines, and others that are no longer useful. If you are using a WordPress site it is easy to add Meta Info. Most SEO plugins assist with providing meta information. Yoast SEO plugin is my SEO plugin of choice on WordPress. It is the most widely used SEO plugin. Be sure to do your own research to determine what works best for you. Most CMS or Website builders provide tools to add the appropriate meta information to your site. If you are building a website with your own code, then you will have to manually add the appropriate code to your web page header section. 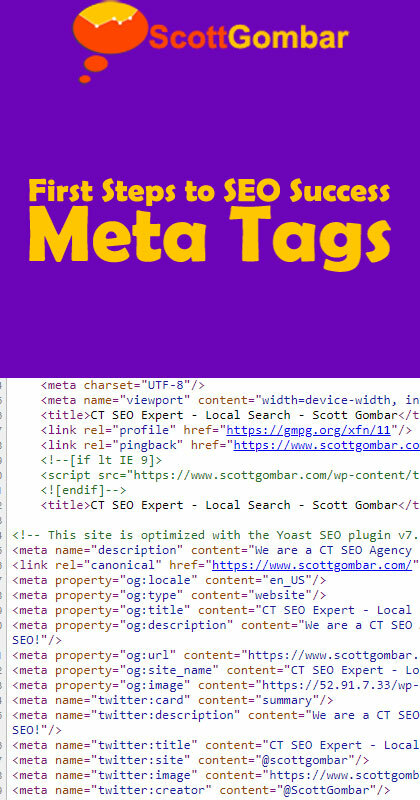 Meta Tags are short snippets of code that provide information about what your web page or blog post is about to search engines. Why Are Some Meta Tags Useful and Others Not? Let’s start with Meta Keywords. Meta Keywords used to indicate to a search engine that a web page should be shown when a searcher queries for that keyword. The problem was website owners and SEOs would stuff this meta tag with irrelevant keywords. This created a negative user experience for people looking for specific information. Meta Keywords can still be added but it’s pointless as major search engines do not use this information anymore. Meta Description is used to describe what a web page or blog post is about. A meta description is a one or two sentence synopses of the web pages content. Google and other search engines won’t display much more than this. Meta Descriptions are still very useful. One thing to note is that Google does not always display the meta description in the search results. Many times, Google will opt to display content from the web page or blog post itself. There is no clear explanation as to why Google might choose to display content from the web page versus using the meta description. It most likely depends on the search query being entered. Google has stated that using keywords in a meta description will not help your SEO. Where meta descriptions will help is enticing searchers to click on the web page. 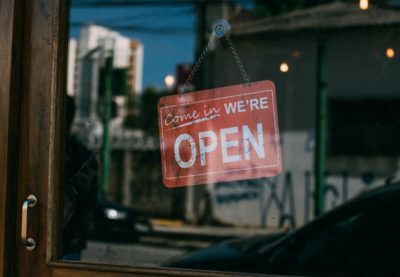 Writing a compelling meta description, possibly with a call to action, is more likely to drive traffic than ignoring the meta description or using something generic, or keyword stuffing (which won’t help AT ALL). If you read my blogs on a regular basis then you will know I talk about engagement all the time. Google uses engagement statistics (bounce rate, time spent on a page, shares, etc..) to determine a page’s relevancy. If a page has a low bounce rate and good engagement statistics, then there’s a better chance it will rank higher. 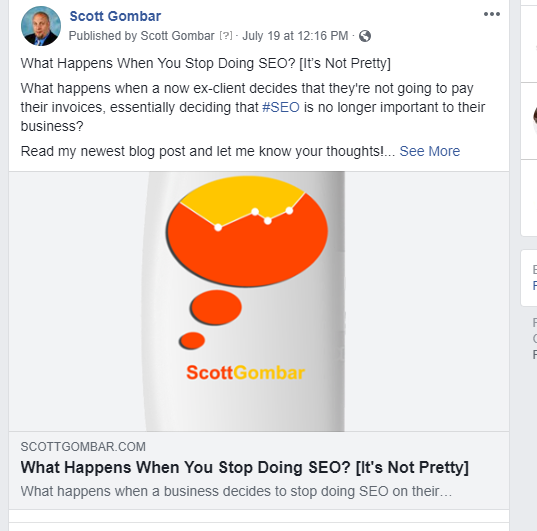 If searchers are clicking through a search result because of a well-written meta description, and stay on the page, visit another page on the site, leave a comment or share the page then Google considers the page to be more relevant. If a page is considered more relevant there’s a good chance the web page moves higher in the search rankings. Meta descriptions should be 160 characters or less. Short meta descriptions will usually not have great results when shown. Google has tested longer meta descriptions in the past. As of this writing, the meta descriptions are not parsed beyond 160 characters. We talked about web page and blog titles and their importance in an earlier blog post. Title Tags are the meta tag used to tell search engines what the title of the web page should be. This is an important meta tag as well. This might be the most important of the meta tags. Google will not serve up other information for the title tag. The title of your page might make or break your clicks and visits. I wrote a lot about Titles and Title Tags in my post about Page and Blog Titles for SEO Success. Title tags are probably the most important meta tag for your SEO. This is why I dedicated a separate section to title tags. Let’s talk a little about what might make the above title successful. The title describes what the blog post will be about. It also gives the searcher a reason to click through. 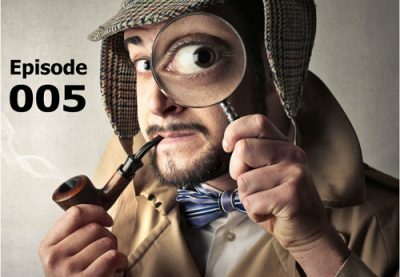 The searcher might ask if they are doing something wrong that could be hurting their SEO. There was a study done by Brian Dean of Backlinko that showed using parenthesis or brackets significantly improved CTR (Click Through Rates). These meta tags are probably the most recognized but there are a lot more. Let’s explore. This tells Google what it should do with your web page or blog post. There are two attributes that you can assign to this tag. Index/NoIndex tells Google whether the webpage should be indexed on the search engine. There are other meta tags that are specific to social media. Today Open Graph is used by Pinterest and Google Plus as well. You can set up Rich Pins for Pinterest. This is an extra step that is done through the Pinterest platform. Twitter also has meta tags to do the same. Twitter meta tags are often left out of blogs and web pages. This is a lost opportunity for many site owners. When I created my SEO Checklist several years ago rich snippets were not widely used yet. They still have not been implemented by most of the websites on the internet. Rich Snippets or Microdata is like Meta Tags in that it provides microdata about a web page to search engines. I wrote about Rich Snippets and Microdata briefly in this blog post. Since more is being said about Rich Snippets and their usage on Google’s Search Results Page I will add that to my next blog post in the First Steps to SEO Success Series. While it has not been declared outright it is possible that one day Rich Snippets (Schema.org) will replace meta tags. Google is relying on the information from rich snippets more and more. If I were implementing an SEO strategy today I would include both meta tags and rich snippets as part of my strategy. Hmm, I must say these are basic steps which every digital marketer or upcoming SEO person should know about this. 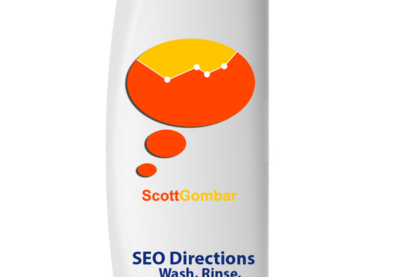 These are like bread and butter of SEO person and it actually helps their work little easier. But it requires understanding and patience. You are correct. That’s why this is the First Steps to SEO Success. Believe it or not I have gone behind other SEOs to find that they did not update Meta Tags or did not include Open Graph Meta Tags. And patience is so important. People give up so quick. SEO is so important for bloggers and meta tags are essential! SEO is always a constant struggle for bloggers to improve. Thanks so much for sharing these great tips. That’s why I have been working on this series. Thanks for stopping by. This stuff seems over my head. When I have to do the HTML side of my website, I am glad for people like you who explain in detail how to do it. Thank you. If you’re doing the code by hand it might be time to consider other methods. While I enjoy writing some code I know most people do not, and it definitely can be time-consuming. Good to know! I admit, I am clueless about a lot of this, but I’m trying to get more of my blog posts seen. First step is making the effort. I’m new to the blogging world. I love all the information I got from this. I look forward to returning to this series and reading more into this!! And I look forward to having you back. Your technical piece is very informative. Please keep it up. I’ am really to learn about SEO blog process I hope I expect more post about SEO from you! thank for sharing! Thanks so much for this informative post. 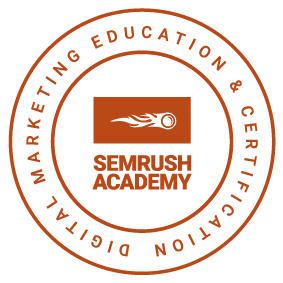 I’m still learning so much and there is a lot to learn about SEO. I am hoping to get good at it so I can add it to my bloggingbootcamp.org site for beginner bloggers! I think that everyone who owns a website should take the meta tags serious. I know that the meta keywords are not used by Google anymore and they can be left aside, but other than that, the rest are still very important. I see so few websites using microdata and that’s a shame as they enhance the listing on Google. Just like any other things, it has it’s pros and cons. This is something that people are really not aware of. But thanks to this, people would know how important this is. This is such a nice article, interesting and very informative. It explains everything about having meta tags same with pros and cons. Goodness, this is a lot of detailed information, but very important. I had to read it slowly several times because I’m still so new at this, this is a great resource! Thank you for sharing things like this! oh yes! i really need to learn about this as i am just a newbie in this blogging world. looking forward for more! I love your post because I can see I’m learning a lot from it. I’m still a newbie when it comes to SEO. I just started my site for about under 6 months and it’s been tough on organic traffic but I’m learning from all different sites like yours. Thx! I use meta tags to describe my photos in all my contents. It is helpful on searching online. Very helpful tips for bloggers especially to the new ones. I am using yoast too. But not all bloggers are using WordPress, so I think you should consider a post for non-WordPress users. There are still a lot of factors that should be considered though, this is one first important step to do. I’ve always wondered the ins and outs of meta tags. This is a very informative post for those who have their own websites.